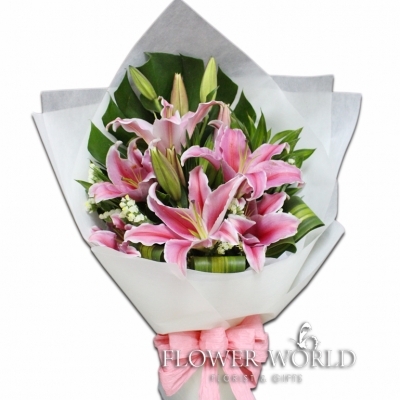 6 pink casablanca lilies arranged in a round bouquet with green button. 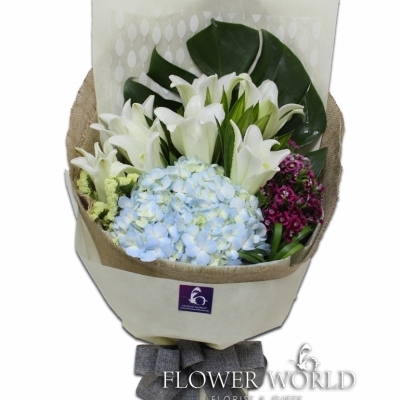 9 white casablanca lilies and baby's breath put together in this bouquet . 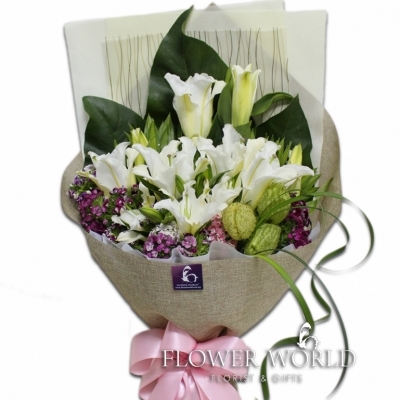 9 white casablanca lilies accompanied with colourful sweet william arranged in a bouquet wrapped with gunny sack. 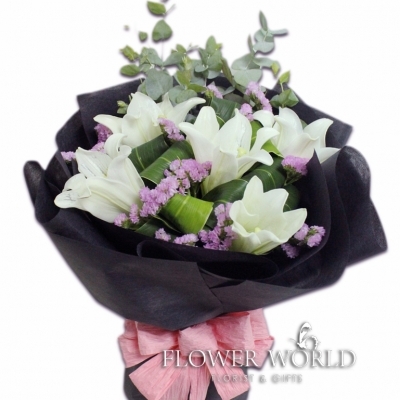 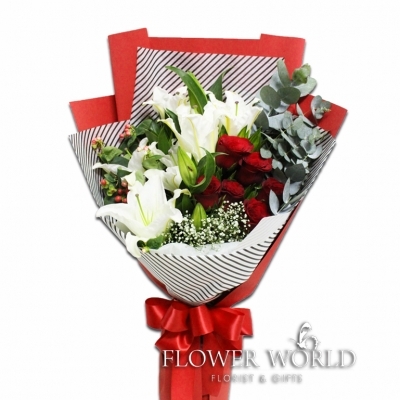 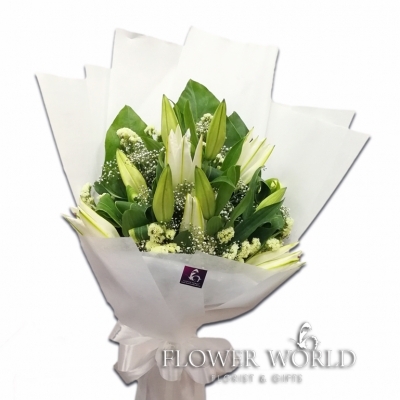 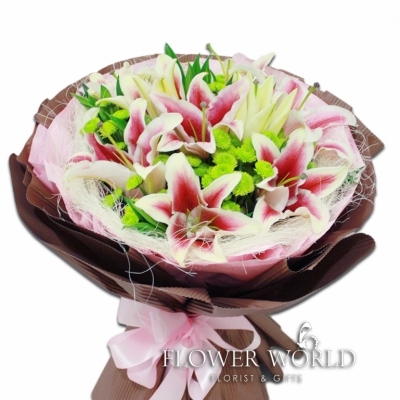 An elegant long bouquet with 6 pink casa lilies and accompanied with cream statice. 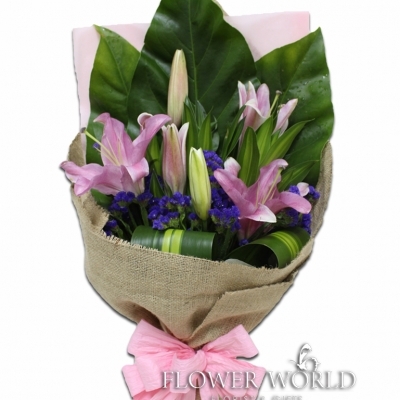 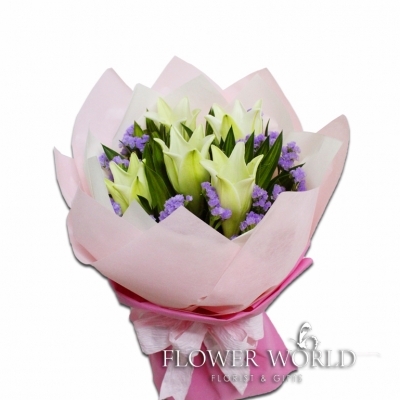 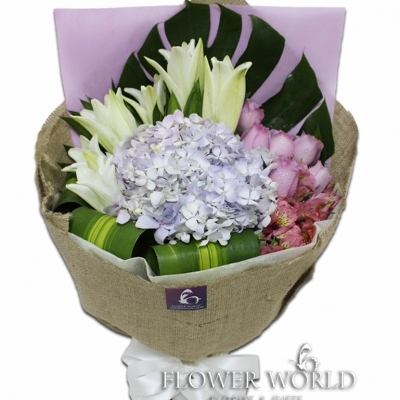 A long arrangement bouquet with 6 pink casa lilies and accompanied with purple statice. 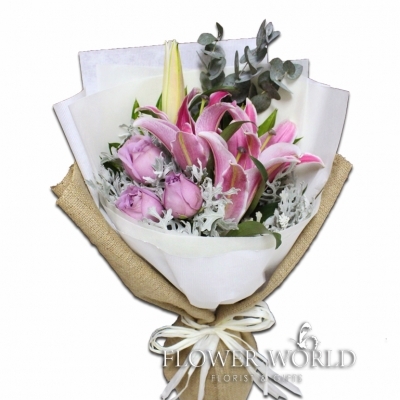 5 white madonna lilies along with pink statice and eucalyptus leaf put together in a round bouquet.